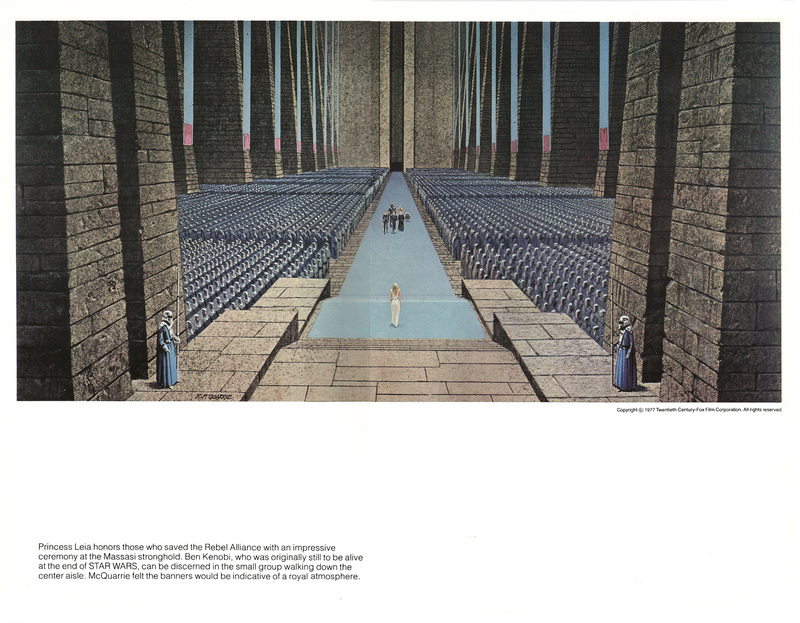 The Star Wars Portfolio (1977), Part Three | 'TAIN'T THE MEAT… IT'S THE HUMANITY! Immediately upon it’s release in May 1977 Star Wars became a global phenomenon, with writer and director George Lucas’s space fantasy seeming to tap into the global zeitgeist. 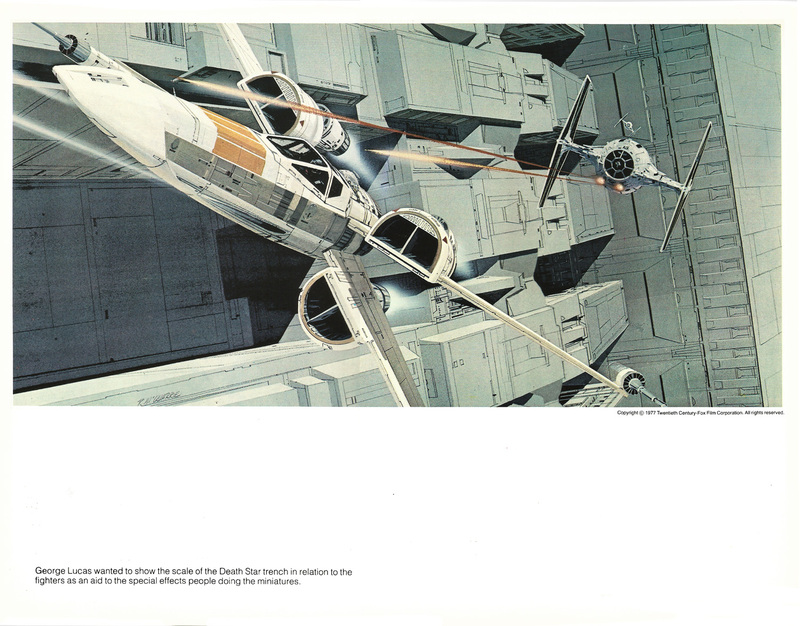 Merchandising based on the film exploded and in September of that year Ballantine Books released The Star Wars Portfolio, a set of 21 pre-production drawings from the film created by concept artist Ralph McQuarrie. McQuarrie worked closely with Lucas, helping to visualise the film while creating many of its most striking characters: C-3PO, R2D2; Chewbacca and Darth Vadar, to name a few. 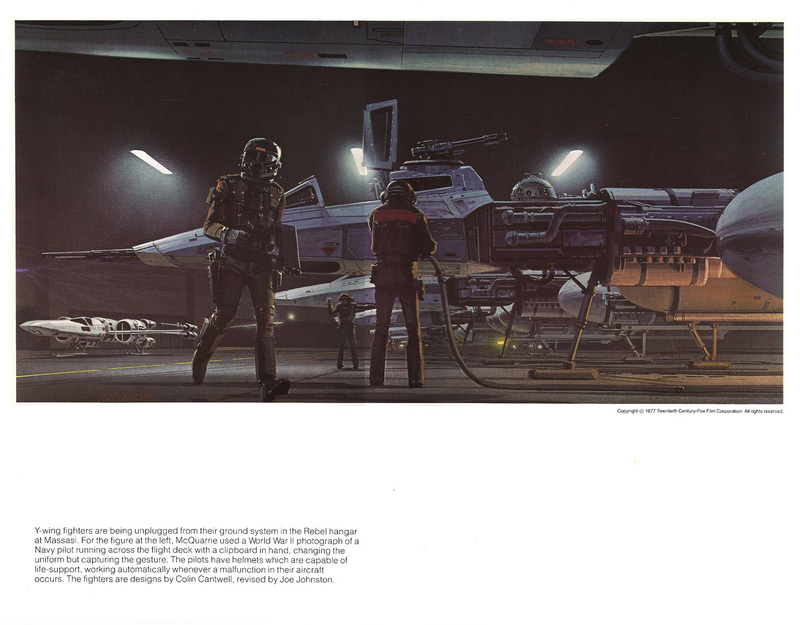 McQuarrie would go to to work as concept artist and design consultant on both Star Wars sequels as well as Raiders of the Lost Ark, E.T. The Extra Terrestrial and Star Trek IV: The Voyage Home. 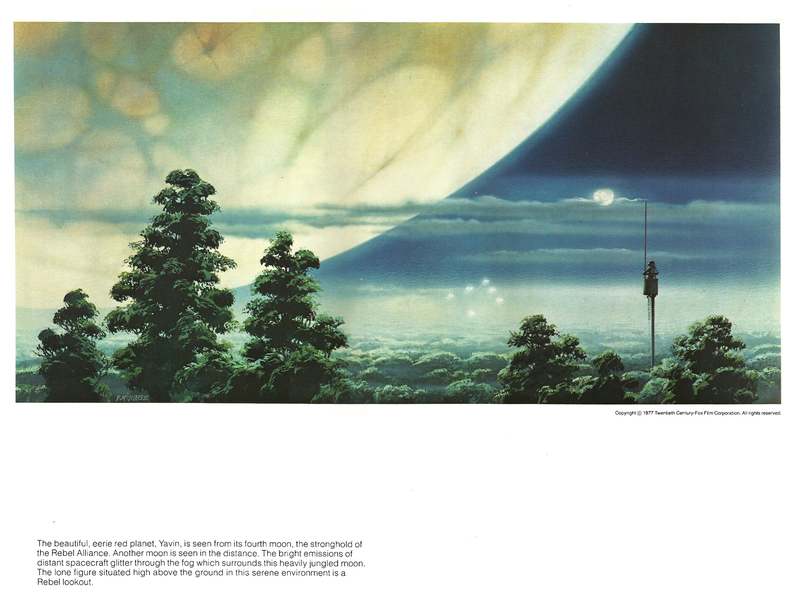 Ballantine Books also released Portfolios from The Empire Strikes Back and Return of the Jedi, both featuring McQuarrie’s concept artwork. 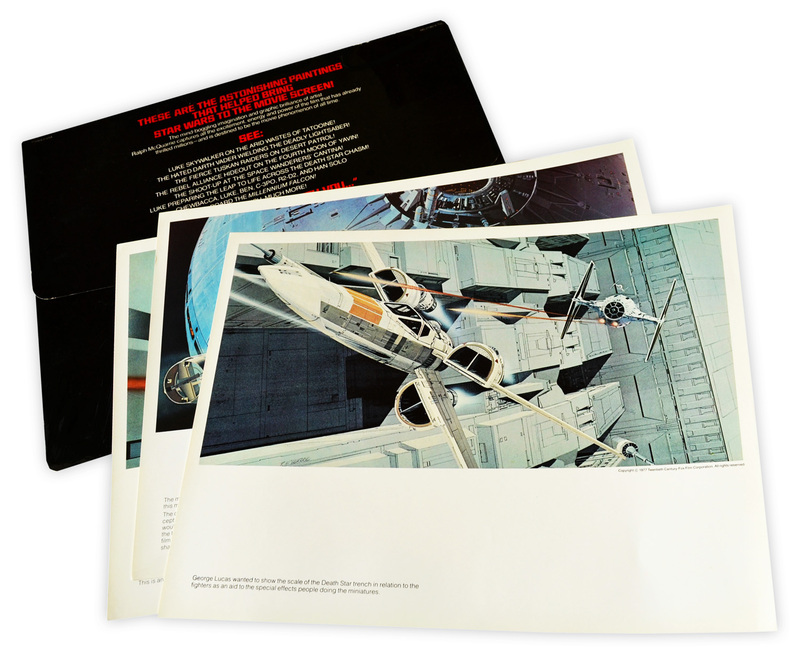 The Star Wars Portfolio contained 21 glossy prints measuring 14 x 11 inches, and shipped in a fold-out cardboard envelope. The Portfolio also came with a title sheet and Introduction by the film’s Director of Publications. I’ve looked at Plates 1-7 here and Plates 8-14 here. 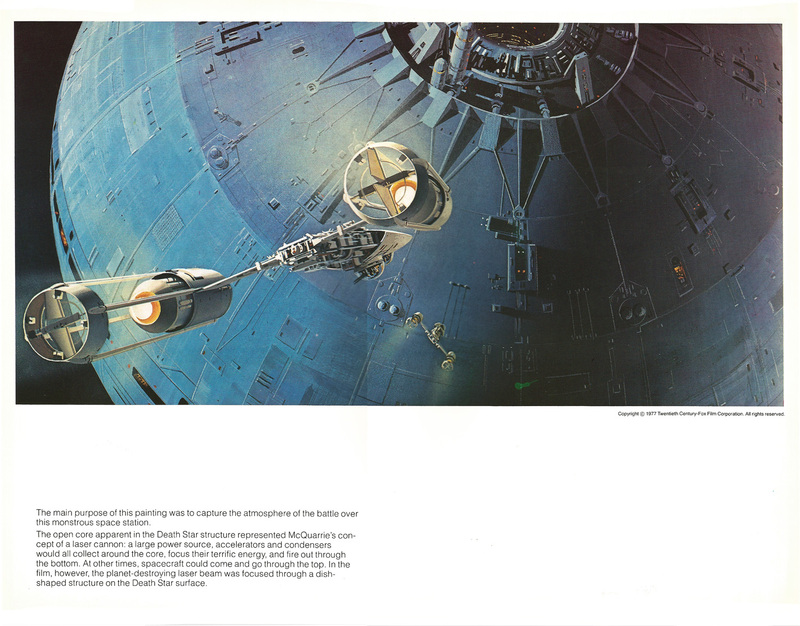 Each print is accompanied by an extended caption explaining McQuarrie’s thoughts and motivations when creating the image, and all of the plates in this last selection group deal with the film’s final act, the attack on The Death Star. 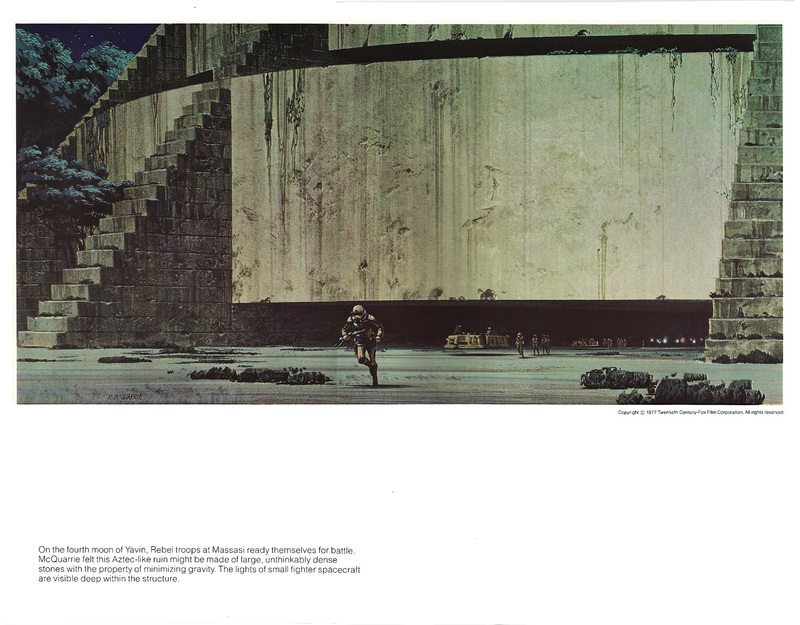 These images will be immediately recognisable to even the most casual of fans – his atmospheric depictions of Yavin (Plates 15 and 16) were replicated in the film almost exactly, as were his depictions of the space battle over the Death Star. But the most interesting element of this last batch of plates is the inclusion of Ben Kenobi in the film’s iconic final scene, shown in Plate 21 – clearly in an early draft of the script Ben survives until the end of the film. 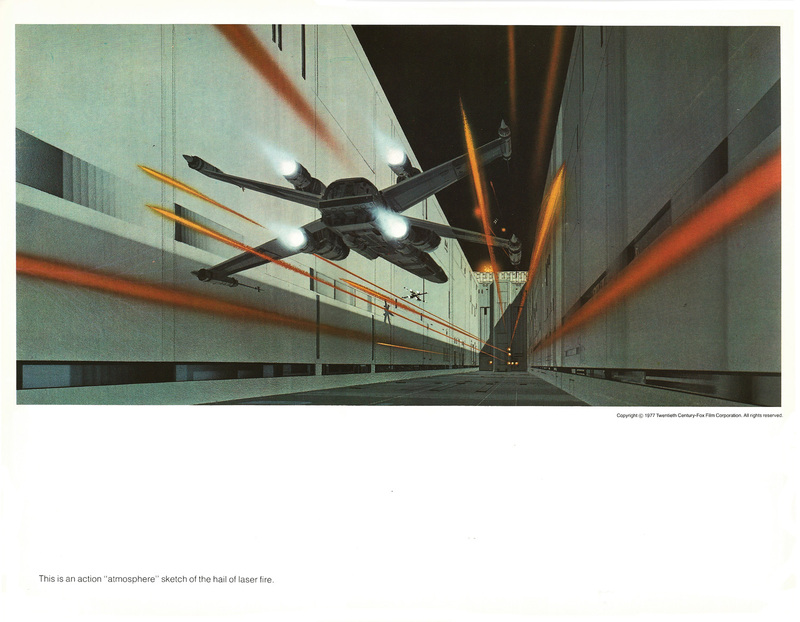 So here are the last seven plates from The Star Wars Portfolio – click on the images for larger versions. I have both The Empire Strikes Back and Return of the Jedi Portfolios knocking around somewhere and I’ll post them on the site in the near future.